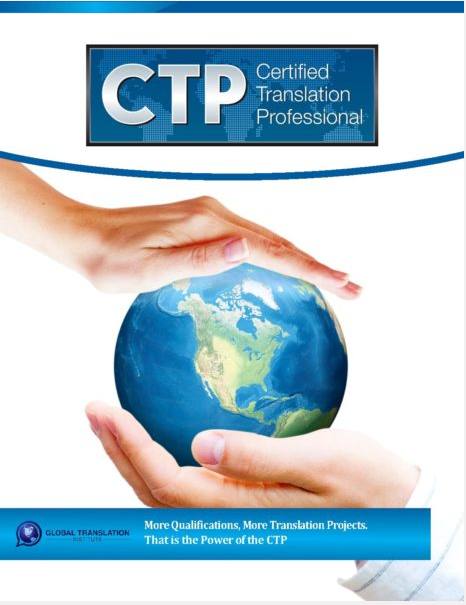 1) Improve Your Translation Resume & Bio: Complete our program and add the CTP credentials your translator resume and bio while also upgrading your ability to work as a successful translation professional. 2) Participant & Alumni Benefits: Participants gain access to a translator training platform with over 60 video modules and recorded audio interviews with expert translators, and alumni gain free exclusive access to our database of over 1,000 global translation agencies and their full contact details to help them land more translation projects. 3) Completing our Translation Certificate is a great way to let employers know that you have made a serious commitment to becoming an expert in the translation field, and it increases your credibility.